Are you spending hours on your resume without any luck? Having a hard time trying to capture the many responsibilities you have to juggle at work every day? Would you rather get your teeth pulled than do your resume? Rest assured resume writing doesn’t come easy to most people. It’s difficult to write about yourself without feeling like you are bragging. You are trying to capture your entire career, education, skills and accomplishments on one to two pages, seriously… It isn’t easy to figure out what’s truly relevant to recruiters and hiring managers within your resume. Our resume writing services can help you get the interview and land the job you want and deserve. Is it time to hire a pro for resume writing services. Do you need someone that knows what companies are looking for, someone that can help shorten your search time and get you on the path to landing your dream job? Some companies actually have millions of potential applicants in their resume database, yes millions… Our secret sauce “ResumeStandouts” can give you that competitive edge. Our goal is to offer Clients professional resume writing services, interview preparation, LinkedIn profiles, and career advice to prepare you for your job search, career change and taking steps toward having a fulfilling career. You may have an excellent background, experience, knowledge and skills that have got you through the door for that first interview. You need to take that opportunity to WOW the decision makers with your thoughtful, engaging on point and inspiring responses to interview questions. Our lead Resume Writer and Career consultant has 15 years of experience in Recruitment, Human Resources and providing Career development and coaching advice at Fortune 500 companies. She has a Master’s degree from Columbia University and as a hiring manager, has done thousands of interviews and spent a good part of her career as a resume writer focused on helping people meet their career and earnings goals. We help with interview answers and interview tips but it’s important to be prepared for the entire job search process from how we market ourselves on our resume to how we handle the first interview. Our services help with all stages of the process from start to finish. In this competitive job market, your resume is what sets you apart. It gets the attention of the decision makers. Your resume is your top marketing tool. It shows your knowledge, skills, experience and your unique personality. It’s the first impression a future employer has of you. Keep in mind, You are the Product your resume is selling. NYC Resume, Interview & Online Prep offers “Resume Standouts” which provides professionally tailored resumes with strong content and focus on key words. It provides a user-friendly format and other factors critical to getting noticed in today’s competitive job market. If you pass the initial resume software screening, key decision makers generally spend about 10 seconds looking at your resume. Recruiters and hiring managers are bombarded with resumes. You have to show them the value you bring to the table with a quick glance of your resume. Content needs to be focused. The hiring manager must be able to quickly see qualifications relevant to their job opening. In 10 seconds, they must have a good overall impression of the value you can bring to their company. Key words must be placed where they will be easily noticed and should show your results on the job. If you wonder why it takes a long time to receive a call back, it has to do with the hundreds or even thousands of applicants that apply and all the stages a resume goes through before a small number of applicants are selected for interviews. There are so many hurdles to jump through before your resume gets seen, you have to use the best resume writers that understands the ins and outs of the screening and hiring process. We know what it takes to stand out in this competitive job market. We develop cover letters and follow up communications to support you in managing the entire hiring process if you elect those services. Some companies do require cover letters in order to apply. A cover letter is another way to set yourself apart and to show why you are a good fit for a job. Follow up communications help keep you in the minds of the key decision makers and allows you to show you were listening, you understand what the company is looking for and are excited about the position. Professional resume writing services can set you apart and help you standout. Call NOW to take the first step toward achieving your career goals by scheduling an Interview Resume Career Services appointment. We are committed to our clients and to the value we bring to you. We do a one on one deep dive phone or Skype consultation into your current status, background, experience, and quantifiable results. In this process, we target your resume to your specific job goals. We focus on 5 main factors: Relevant Messaging, Professional Branding, Key Words, Target Audience, and a User-Friendly Format. More specifically, we discuss things like challenges in your current career, where you are in your search, your target jobs, a deep dive into your professional background, other relevant experience, outside memberships that show your value and skills and what makes you unique. We use a detailed format to gather all the relevant information to make you stand out. We send you a draft resume within 3 – 5 business days of our consultation. This draft truly tells your story. We ask for your feedback and go through up to 2 rounds of edits. Our relationships with clients is a true partnership. Above all else, we want you to be successful and fulfilled in your career. Over 80% of companies checked social media for job candidates last year. If you are not optimizing your social media, you are missing out on some major opportunities. The days where you just put some basic information on your LinkedIn profile are over. Optimize your professional brand and increase your visibility to potential employers with a professionally written LinkedIn profile. We go beyond offering a LinkedIn profile. We strategically create profiles to increase your visibility and make recommendations for steps you can take to make the most of your online presence and get the right activity. Companies are looking online to see if you have the right qualifications. More importantly, they are looking for reasons not to hire a candidate. There are a host of things within their checklist that they are searching for. Did you know, if you don’t have a social media presence, some companies think twice about hiring you? Now you got the call to interview for an exciting position. What do you do? Are you getting nervous already? Is your stomach tied in knots as your palms start to sweat, thinking I really don’t like interviews? You may have been chosen from hundreds maybe even thousands of applicants. No matter how effective you are in your job, the difficult part is making sure that comes across. Can you describe why you will be an asset to this new organization? Interview Preparation, Practice and confidence in interview skills are critical to Nailing the Interview. NYC Resume, Interview & Online Prep teaches you “Master Interviewing”, a simple technique for clients to follow when tackling those tough interview questions. Hiring managers meet with a number of individuals. You want to give concise, relevant and engaging responses in order to WOW your interviewers. We focus on a number of factors in preparing clients for the interview process from start to finish. Confidently answering those questions that trip up most individuals, connecting with the interviewer and showing them you are the candidate to beat is no easy task. Is a small investment worth it? We customize the interview preparation to focus on the position you are applying for, industry you are targeting and our experience pinpointing the types of questions interviewers frequently ask. We give you feedback to assist with challenges you may face during interviews and how to overcome them and be more prepared for those opportunities. Interviewing typically makes most people uncomfortable. With preparation comes confidence and the ability to show your skills and how you will add value to this new company. Let’s face it, some bios are real snoozers. We add color to your bio to engage your target audience and highlight what makes you different and how you provide value. Going through some challenges in your career? Trying to climb the corporate ladder but having a hard time of it? Feeling stuck in your job? Considering a career change? Unhappy with your salary? Having a tough time dealing with office politics? Have a coworker that’s driving you bananas? Not sure where to start in your job search or resume? These are only some of the reasons people seek out Career Coaches. Family members and friends have your best interest at heart but giving you career advice when they are dealing with some of the same challenges may not work. An expert may be the answer to help you develop an action plan toward bettering your career, finding a career if you are feeling a bit lost, achieving greater fulfillment, or seeking a work life balance, and reaching your career goals. 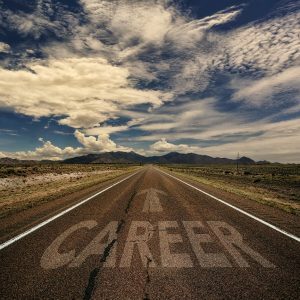 A Career Coach can serve as a sounding board and provide you with insight from their expertise in the field. An investments in a Career Coach is really an investments in yourself and where you spend most of your time, your work. Come in with an open mind. We are here to partner with you to achieve your goals, feel more fulfilled in your career and navigate through the workplace challenges. Have you dreamed of starting your own business, being able to call your own shots, finding an outlet for your creativity, controlling your own destiny financially? The idea of starting a business definitely has appeal but where do you start? How do you bring your business idea to life? Who is your competition? How do you finance your business? How do you market your business? So many questions to answer before you get started. Our business consultants have over 60 years of combined experience starting a business and running a business across different industries. They can provide their knowledge and wealth of experience in exploring different business ideas, help determine your business direction / strategy, resources ( small business or big business ), short term and long term goal setting and finding the right talent to contribute to your overall growth and success. It’s critical to do your homework upfront before you decide to make a move. There are many factors to be carefully considered as part of your business plan. We take a thoughtful approach to helping you analyze your business idea and prepare a plan of action. Call NOW to take the first step toward achieving your career development goals by scheduling an Interview, Career, Resume Writing Services appointment. No refunds for services rendered or underway. A minimum of 24 hours cancellation notice in writing is required for scheduled appointments however as much notice as possible is appreciated.